My school has gone down the 1 to 1 device route. Year 5 and 8 this year have had devices introduced into their learning environments and then progressively over the next couple of years personal digital devices (PDDs) are being introduced into the other learning environments. Secondly notice I have been using the term device not laptop. The school has taken the decision to use a university model of device tooling. That is the students provide their own device, and can choose to bring whatever device they want. Parents were given some advice as to what was needed such as Wi-Fi ability, and basic software / app suggestions (word processor, spread sheet, presentation software). Thus the array of devices is impressive, 17′ laptops, 10’netbooks, Windows, Mac, and iPads. Three different operating systems and endless variations in specifications and software. The first couple of weeks were manic mostly because of Wi-Fi issues, with many devices that could not connect. This has mostly been sorted and as part of the year 8 integrated unit (Quest) teaching team I’m able to walk around our open space learning area (SCIL) and observe 90-140 students working productively, independently or collaboratively, on tasks. In this environment teachers act more often as mentors and guides getting students to think more deeply about concepts and skills rather than being the providers of knowledge. Sounds great and it is. I often have to stop and reflect how different it is to what I have done in the past. I was walking past a group of teachers the other day and one made the observation that it was actually very difficult to find students doing the wrong thing. They meant this in a positive way. Students are so engaged that they are not wasting time and energy off task. It immediately struck me that he was right. 95% of the students are intrinsically motivated and engage with the learning tasks. But on further reflection and on examination of work being produce there are some students that look busy, look engaged but are not producing much in a lesson. How do we ‘catch’ these students, what gives them away? The answer is age-old, active teachers who take the time to get to know their students individually. You engage them, by personalizing and differentiating tasks. Knowing your students also informs your decisions of when to give direct instruction and when to let them uncover and discover for themselves. Teaching continues to be an art form, not a science, it needs to be relational and active. After looking at and reflecting on the list of different skills that are predicted to be important in the 21st century I have decided to focus on just one; collaboration. Well, at least have one as a focus while I continue ruminating on the others, as I think in practice it will be hard to separate many of them as there is a level of interconnectivity. One example is that student thinking has been shown to improve with student involvement in group work where they are required to verbalise their understanding or challenge others. Which leads to a deeper understanding and improved learning outcomes. 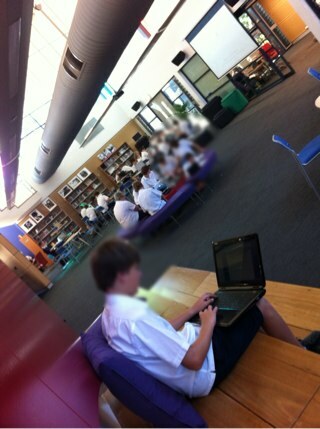 I have chosen collaboration as a focus because as a teacher I have at times avoided group work. Group work often represents hard work having to negotiate the myriad of potential conflicts and relational difficulties that arise when students are allowed or are forced to work together. When I have assigned group tasks often I have not thought them through as thoroughly as I should have. Thus by choosing collaboration as a focus I plan to reflect on the research of others that suggests that student outcomes are improved as students engage at a deeper level. 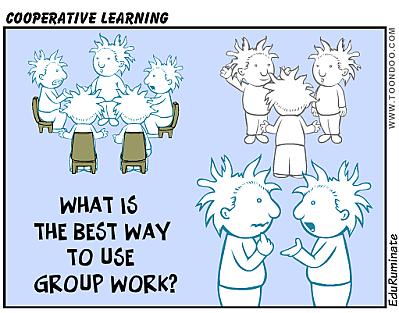 I have started to be more conscious about the use of group work in my lessons and I have started reflecting on how best to plan for and incorporate it. Here is a sample of the questions I’m reflecting on and looking for evidence to answer. Do students performed better if they collaborate? What different forms of collaboration are used and which are most effective? Is the size of a group significant? There is lots to think about.